In February, Catherine and I made our first solo long drive to Williamsburg, Va. (a.k.a. the Promised Land). I had 14 hours of drive time with my delightful but non-verbal companion which translated into plenty of time to think and pray. 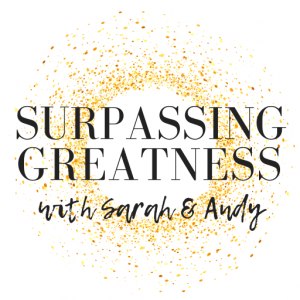 Right now we are in the phase of Andy’s medical journey where the most commonly asked question is, “Where do you want to go for residency?” A key thing to note here is that although Andy does get to submit a ranked list of programs he would like to be in, the programs are the ones in the driver’s seat doing the choosing. That being said, we still have to submit the list. At this point in the process, Andy is working towards making a list of the places that he would like to get a try-out rotation in anticipation of applying to residency in a year and a half. Because my husband is nothing if not a thorough man, he is going through the list of 250+ residencies in his chosen specialty as he compiles his first round short list. At the moment, there are a lot of places on that list, from Alaska to Virginia (our home state) and everywhere in between. Andy and I won’t have discussions about actual places and concrete plans until the first round list is done but I know those are coming soon and during this particular drive it was weighing heavy on my heart. In particular, I was thinking about what I want to say in these conversations and moments as we prepare to take this next big step together. At first, my focus was on location. Where is the residency? How far is it from people and places we love? Do I like the climate, area, etc.? But I could feel the Holy Spirit tugging at my heart. Is this really what I want the conversation to be about? My wants, my needs, my desires? For most of the ride there and back Audrey Assad’s new album Inheritance was the soundtrack to my prayers. I would hear, “Lover of my soul/ Even unto death/ With my every breath I will love you” and I was reminded of my first love. As I was praying and driving, I could feel the Holy Spirit softening my heart and changing my perspective. My goal should be that my preferences and desires should be shaped to conform to God’s will. How could I do anything less than be willing to lay aside my desires for what God has for us? This next phase of life is still two years away, but as we enter this process of discernment, I want my heart to be in the right place. I don’t know where we’ll end up, but I know that God will be faithful. He always is. Where have you seen the Holy Spirit working in your life lately?